This entry was posted in Uncategorized on August 2, 2016 by lyndadraper. This entry was posted in Uncategorized on July 2, 2016 by lyndadraper. 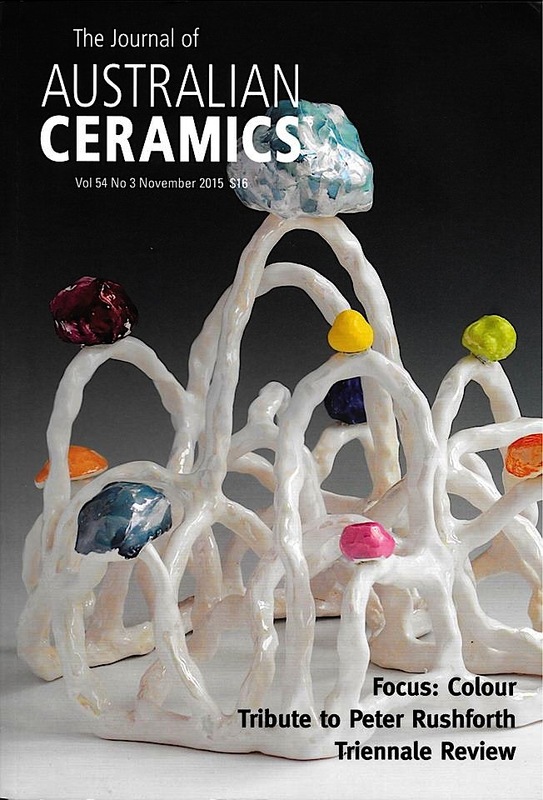 My work is featured on the cover of The Journal of Australian Ceramics, Focus Colour, Vol 54 No 3 Nov 2015. Also my work is discussed in the article Thinking through Colour by Madeleine Preston. This entry was posted in Uncategorized on December 18, 2015 by lyndadraper. It was wonderful that the exhibition Glaze & Confused: Ceramics in Contemporary Art Practice and the concept of the Hazelhurst Regional Gallery & Arts Centre/Ceramic Design Studio – TAFE Sydney Institute partnership and ceramic residency project was nominated for a Museums & Galleries of NSW IMAGINE Award. We didn't win but it was great to be nominated, a huge thank you to all the wonderful Artists, students and staff involved…. This entry was posted in Uncategorized on November 15, 2015 by lyndadraper.